Enabling customers to use their mobiles to scan items in the aisle as they shop and then check themselves out holds multiple benefits for retailers, this white paper from RAMBUS explains. 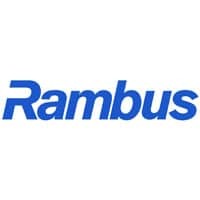 Sponsored by Rambus. Mobile scan-and-go enables consumers to scan their purchases with their smartphone as they shop, and then pay in-aisle with an in-app purchase. Adopting this technology offers many advantages and benefits to both the retailer and customer, the paper asserts. Boosting average revenue per user (ARPU) and loyalty, including improving in-store productivity, increasing average spend per visit, and real-time redemption and split payments. Enhancing the shopping experience, including eliminating checkout lines and being able to redeploy staff from the checkouts to become in-store concierges. Optimizing operational efficiencies, including issues around revenue protection, managing cost per transaction and reduced infrastructure costs. The paper also cites extensive statistics and sources in support of its arguments and is an essential read for forward-looking retailers and payments service providers looking to improve the experience they offer customers. 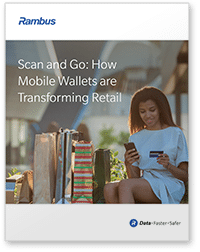 Scan and Go: How Mobile Wallets are Transforming Retail has been produced and sponsored by Rambus and approved by the NFC World editorial team. This 11-page white paper is available free of charge to NFC World Knowledge Centre members (PDF format, 569KB). This premium information is available free of charge to NFCW Knowledge Centre members. Log in or join for free to get immediate access. This item is part of the Mobile Payments Knowledge Centre.